Being a client -oriented organization, we are manufacturing, supplying and trading high quality Paper Roll to Sheet Cutting Machine. Offered machine are fabricated by our team of engineers using finest quality metals and components that are produced from reputed vendors of the market. Specially designed to cut the roll and sheets of paper efficiently, these machines are highly durable and consistent performing. 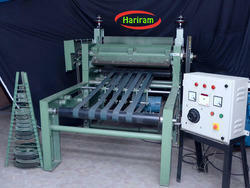 We offer this paper toll to sheet cutting machine to the client at market leading prices. 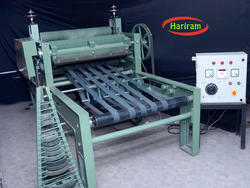 Looking for Roll To Sheet Cutting Machine ?